Full Time Professor, Lead PKI Instructor, CISSP, CEH/ Q/EH, ESCA/ Q/SA, Q/PTL, CHFI/ Q/FE, Q/ND, ISO 27001 Lead Auditor. A 20-year information security industry veteran, Sondra Schneider is the CEO of Security University, an Tactical CyberSecruity, Information Security & Assurance Certification and Training Company. For the past 20 years Sondra has been traveling around the world training network professionals to be network and security professionals as a full time professor/CEO. 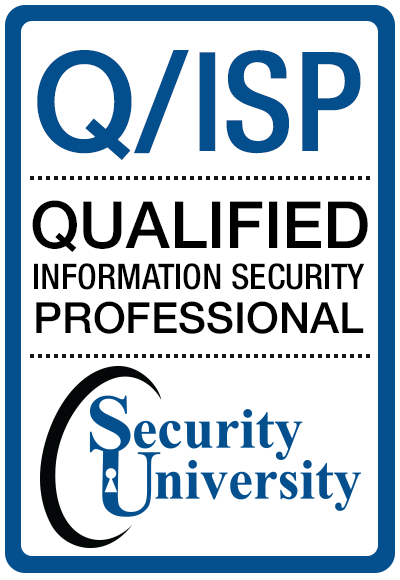 In 2006-2007 Sondra worked tirelessly to update the Security University 2000 AIS certifications (Advanced Information Security Cert) to the new performance based Q/ISP “hands-on” security certifications for the information & assurance community. 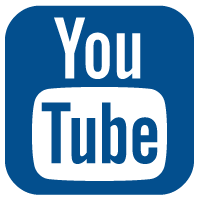 The new “Qualified” Q/ISP certification, and related Q/EH, Q/SA-Q/PTL, Q/FE & Q/ND Certifications have been selected to be approved by the DoD 8570 proposal committee in early 2011. In 2005 Ms. Schneider was awarded “Entrepreneur of the year” for the First Annual Woman of Innovation Awards from the CT Technology Council. She is an active advisor for the CT Technology Counsel, and advisers 3 computer security internet (start-up) technology companies and a frequent speaker at computer security and wireless industry events. She is a founding member of the NYC HTCIA and IETF, and works closely with the vendor community to provide information security certification training to comply with the 8570 DoDM mandate. Ms. Schneider specializes in password and identity management – access, authentication and PKI systems, biometrics, wireless networks and wireless security, network perimeter architecture and security, vulnerability auditing, intrusion detection, and broad band networks. Prior to founding Security University, she was a founding partner of the first information security consulting practice located in New York City ( since acquired by Price Waterhouse/True Secure) where she developed information security consulting, training & certifications processes for Fortune 500 customers and developed and managed Federal IA/IS consulting projects. Ms. Schneider has been a pioneer in information security technologies since 1992 when she began her career delivering 45 mega bit broadband services along the eastern seaboard for first implementation of the “internet” with MFS DataNet. While with MFS DataNet she was part of the team that built the first “downstream ISP provider” market - AOL, PSI Net & Earthlink etc. After MFS DataNet was acquired in 1993, she left to pursue a new Internet role at ATT as the first ATT Internet Specialist where she used her MFS Datanet internet skills to create and deliver the first internet sites for ATT. Ms Schneider was tasked with educating large (10M+) ATT client accounts about internet access as a business process tool. And in 1995 she was involved with the first ATT branded firewall (Site Patrol) from BBN to protect corporate networks as they deployed Internet access across closed networks. 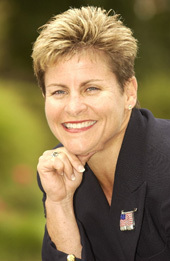 In 1996, she accepted the Director of Business Development position in the Northeast for the WheelGroup Corporation ( since acquired by CISC O in 1997), where she was responsible for the “introduction and implementation” of the CISC O/ WheelGroup NetRanger intrusion detection and NetSonar network auditing tools product line with large customers and VARs . Capitalizing on her earlier product experience with ATT, she brought real-time intrusion detection systems and tools to financial institutions telcos, healthcare, and Fortune 500 customers. Gretchen brings 10+ years' experience with cybersecurity research, methodology, analysis and grant-writing. She has eight+ years experience working with government and private cybersecurity sectors. Ms. Pendell holds a bachelor's degree from the University of Illinois and a master's degree from the University of Florida." Ken Cutler is Director Professional Certification Programs @ Security University (SU). His responsibilities include CyberSecurity and Professional Certification curriculum development and senior lead instructor for SU. He is an internationally recognized consultant, lecturer, and hands-on trainer in the Information Security and IT audit fields. Previously, Ken founded the Information Security curriculum for MIS Training Institute in 1993 and served as training department head, conference/symposium chair, and lead instructor for over 18 years. He has delivered a wide array of lecture and hands-on courses throughout the United States, including numerous US government agencies, as well as, in Russia, United Kingdom, Netherlands, Finland, Nigeria, Ghana, Tunisia, South Africa, Serbia, Mexico, United Arab Emirates, Oman, Greece, Singapore, and Hong Kong . Previously, Ken has headed major Information Security and Quality Assurance programs at American Express Travel Related Services and Lockheed-Martin (Martin Marietta) and has been a Fortune 500 company Chief Technology Officer (Moore McCormack Resources). His industry experience includes: insurance, banking, financial services, healthcare, natural resources, manufacturing, government contracting, security and audit software product design and utilization, consulting and training. Mr. Cutler has been a long-time active participant and advisor in US federal, international government, and industry security standards initiatives and co-authored NIST SP 800-41, “Guidelines on Firewalls and Firewall Policy”. Ken has also published works on the intricacies of Information Security, security architecture, disaster recovery planning, wireless security, vulnerability testing, firewalls, and single sign-on. In addition, he has been frequently quoted in popular trade publications such as Healthcare Information Security Newsletter, Computerworld , Information Security Magazine , Infoworld, InformationWeek, CIO Bulletin, and MIS TransMISsion. Mr. Cutler was featured in a special TV program entitled, “The Electronic Battlefield” , on Abu Dhabi, UAE Public TV. Mr. Cutler is also the Founder and Principal Consultant of KCA InfoSec Assurance, an independent consulting firm delivering a wide array of Information Security and IT Audit management and technical professional services. His input on vulnerability and risk assessment tools has been frequently sought out by major software vendors. Ken served as a Certified Weather Forecaster in the US Air Force and was decorated for his exemplary performance during his overseas duty assignment in Alaska. Joe has been with SUT since the 2009. Joe has 10+ years' experience with cybersecurity research, methodology, analysis and exam administration. Joe has 10+ years experience working with government and private cybersecurity sectors. Burnsville, Minn. – TesTrac.com, Ltd, a world leader in online testing, announces a major software revision that expands its already robust network capabilities even further. The new software, Version 11, is part of a large-scale capital investment that enhances TesTrac.com's test delivery system. The nearly half-million-dollar project cements TesTrac.com's position as a leader in online testing. “The software upgrade is part of a larger network investment,” said TesTrac.com president Doug Odell. “With all of the new hardware we acquired, we wanted to improve our software to make the user experience even better.” One of the most noticeable changes is a new user interface with an exceptionally clean dashboard, which shows test-takers just what they need to see, when they need to see it. The new network is compatible with wireless devices, too. Test-takers can access TesTrac.com using smartphones, and they can actually take tests using the iPad, Kindle, Xoom, and Galaxy tablets. “Smartphone screens are too small to display some of the complex tests we deliver,” said Odell. Overall, the changes add up to a tremendous user experience. “I believe we're the only testing company in the world that has this technology,” said Odell. These benefits let TesTrac.com's customers leverage the highly scalable architecture of the new network while providing their test-takers with a user experience that includes a simpler interface, easy site navigation, and an extremely high rate of completed tests. “We're making testing fast, easy and reliable,” added Odell. Since 1998, Minnesota-based TesTrac.com has used its proprietary, flexible, customizable online delivery system to facilitate testing for any subject, in almost any language, to web browsers across the globe. TesTrac Online offers a wide array of administrative, security, and data mining tools, ensuring each test is clear, accessible, and tightly controlled.